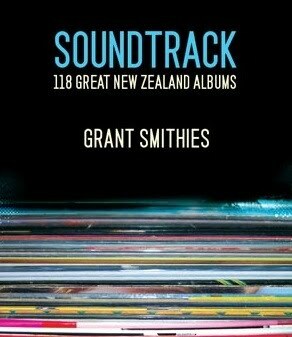 That is the opening line to ‘Soundtrack’ but it could perhaps just as easily be about 101 Great New Zealand Tramps – except for the lies bit. Both these books are associated with things which have given me a great deal of pleasure, made significant depredations upon my bank account, and have, in their different ways, taken a toll upon my physical frame. 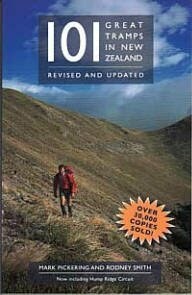 In 1989, as a university student, I got an earlier edition of ‘101 Great Tramps’ and decided I was going to do all the trips contained therein. The gods were listening to this vow, and in the ways of gods everywhere, decided to have a little joke. A bout of severe glandular fever, soon followed by several years’ chronic fatigue syndrome, were the result. But that is the gods for you. Bunch of bastards. I’ve since managed quite a few trips in the book, and will do one more in January. This is most unfair. The fact that I can barely button my own shirt hasn’t stopped me shouting ‘Verlaine Verlaine Verlaine Verlaine’ to the chorus of ‘Death and the Maiden’ alongside far more erudite souls. The fact that I thought ‘Pyromaniac’ was all about someone who loved pies doesn’t stop me thinking its a great song. Well, quite. (and he’s right, it is a great song) My only grizzle with the book is it focuses on albums. The great art form of New Zealand music, at least in the 1980s, was the EP. There were good financial reasons for this but also good quality control reasons. Personally (and I know this is sacrilege) I find there are few NZ bands who can sustain an album’s worth of material. And – a personal gripe – somehow the Able Tasmans are virtually totally overlooked. But it is still a great book. It will make you return to the music. And 101 Great Tramps will return you to the hills.